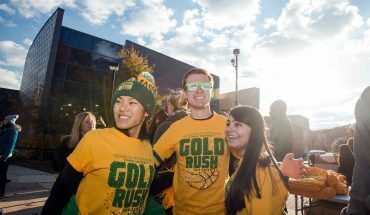 Out of the 351 Division I intercollegiate men’s basketball programs in the nation, George Mason University is left hanging in the middle. According to rankings by ESPN writer John Gasaway, the Patriots are the No. 175 ranked best men’s basketball program heading into the 2017-2018 season. While this ranking is no indication of what is to come from the Patriots this season, it is an interesting assessment when considering the effects of transfers, coaching changes and last season’s record from all 351 teams. In addition to these other factors, Gasaway also incorporated a stat for Roster Possession-Minutes, or RPM percentage. According to Gasaway, this is a percentage of possession-minutes that a team’s roster gets back from the previous season. This stat was created to predict the performance of each team based on which minutes (players) are returning. For example, the Braves of Bradley University are bringing back their entire roster, putting their RPM at 100 percent. Meanwhile, programs like Kentucky (seven percent RPM) and Duke (19 percent RPM), who have many freshmen move onto the next level, have very low RPM percentages. 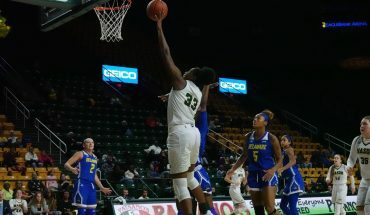 Mason’s roster currently has a RPM percentage of 52, while the average RPM among all Division I schools is 56 percent. 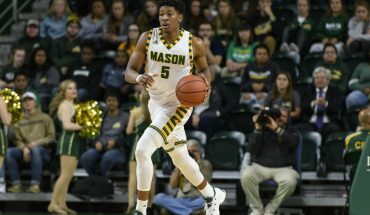 The returning player with the most impact on Mason’s roster may be junior guard Otis Livingston II. Livingston averaged 14.3 points per game – the highest of all returning players on the Patriot’s 2018 roster. He also averages three assists per game, 3.1 rebounds per game and led the team in free throw percentage – 91.9 percent – for the 2017 season. On the topic of returning players, Mason sophomores Ian Boyd and Justin Kier look to bolster the Patriot’s backcourt. Boyd seemed to be the sixth man for the Patriots last year (only starting four games, but appearing in 31), as he led the team in scoring off the bench (5.9 points per game) and minutes off the bench (19 minutes per game). Kier started 29 games last season, averaging 27.7 minutes per game while scoring an average of 5.8 points per game. The Grottoes, Va. native also led the team in 3-point shooting last season (38.6 percent), and showed impressive defensive outings throughout the 2017 season. However, the most unexpected news on Mason’s roster is not the two promising sophomores, but the one who will no longer be on the roster. Redshirt sophomore Daniel Relvao will be leaving Mason and returning to his family and going to school in Europe. This comes at an unfortunate time for the team, with this season right around the corner. Relvao averaged only 6.9 minutes per game, but his presence in the locker room may be the biggest hole left. Despite this loss, Livingston and company are looking to lead Mason back to the NCAA tournament in March. This would be a feat that George Mason has not accomplished since 2011, when the Patriots made it past the first round after beating Villanova. The Patriot men started their journey to the tournament on Friday, Nov. 10 at EagleBank Arena against Lafayette.